•	No exotic pets allowed (including but not limited to: frogs, spiders, snakes, ferrets and lizards). Do you inspect the property when I move in and when I move out? 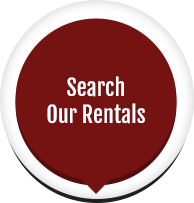 We perform a detailed move in and move out inspection and take pictures and video of the entire premises. Any damages not mentioned during the move-in inspection will be withheld from your security deposit upon moving out. It is very important that you review the move-in inspection prior to signing it. A fully completed application should take no more than 3 business days to be processed. The application fee is $75 per applicant. All individuals 18 yrs. or older that will be living in the property must complete an application. 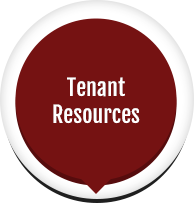 What am I required to pay at lease signing? A security deposit equal to at least one month's rent. Payment must be made in the form of cashiers check or money order. The following situations are considered emergencies. 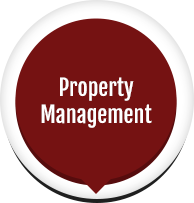 You should contact our offices at (407) 578-545 and/or your property manager via cell phone/email as soon as possible. •	NO ELECTRICITY: Please check both the circuit breaker and outlet reset buttons first. •	FIRE: Call 911 and notify the fire department immediately. •	NO HEAT: When the outside temperature is below 45 degrees ONLY. •	NO AIR CONDITIONING: If a health risk exists (as documented by a physician) ONLY. •	HEAVY STRUCTURAL DAMAGE: Roof, foundation, walls, etc. •	PLUMBING: Flooding or stoppage of all drains (tenant is responsible for all stoppages except when they are the result of root growth or fixture breakdown). Water should be turned off at the main line control valve (valve is usually on the side of the home by the garage). Please familiarize yourself with the location of the valve prior to an emergency. •	THEFT: Call 911 and submit a full police report to our office. When can I move into the property? Once the application is approved, the lease is signed, the property is ready/clean, and a full month's rent plus any applicable prorated rent has been paid. Rent is due on the first of each month. A 10% late fee will be assessed if we have not received your rent by the 3rd day of the month in addition to a $5 per day charge until the rent is paid.